Cleaning large areas like driveways, patios, and decks is faster and easier with the Simoniz Floor Cleaning Kit. Quickly and effortlessly remove stubborn dirt from flat surfaces with high pressure scrubbing action. 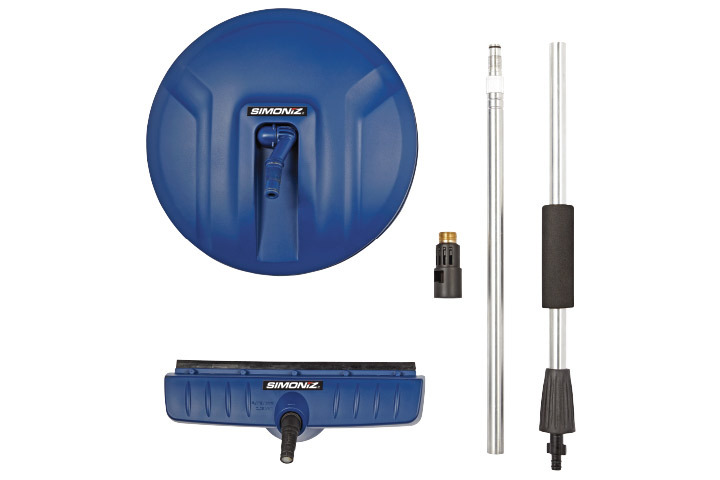 This kit includes a 12″ spinning surface cleaner, high pressure floor brush, and a 32″ aluminum extension handle. 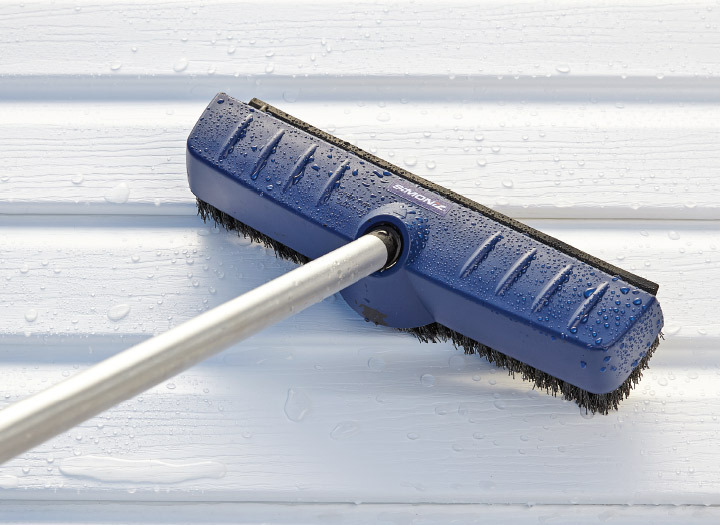 The floor brush comes with three integrated high-pressure nozzles to help blast away dirt and grime, while the built-in squeegee can be used to remove excess water from flat surfaces. Ideal, for patios, garages, driveways, and siding. 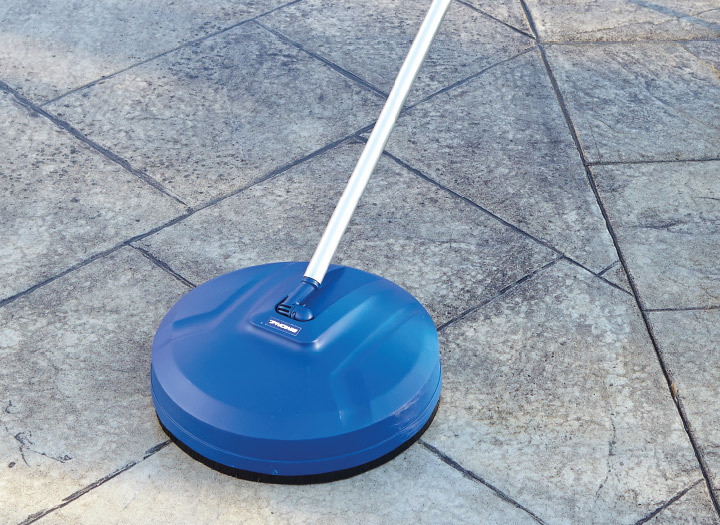 The 12” spinning surface cleaner connects to the pressure washer wand and water pressure rotates the inner brush for more effective cleaning. The covered design minimizes splash back. Ideal for decks, patios, driveways and other flat surfaces. Sign up to receive helpful maintenance tips from Simoniz. 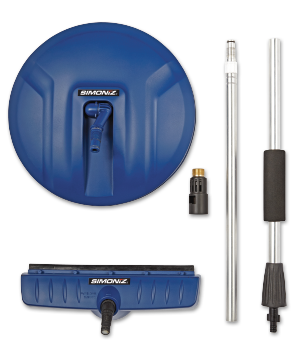 Sign up to receive helpful maintenance tips from Simoniz!